Welcome to Priory Park Café where you can expect a warm greeting from the lovely owner Flora and her friendly staff. Situated in the centre of Priory Park, a short distance from the tennis courts and just opposite the playground, it is the perfect spot for a relaxing rest for both children and parents and anyone. 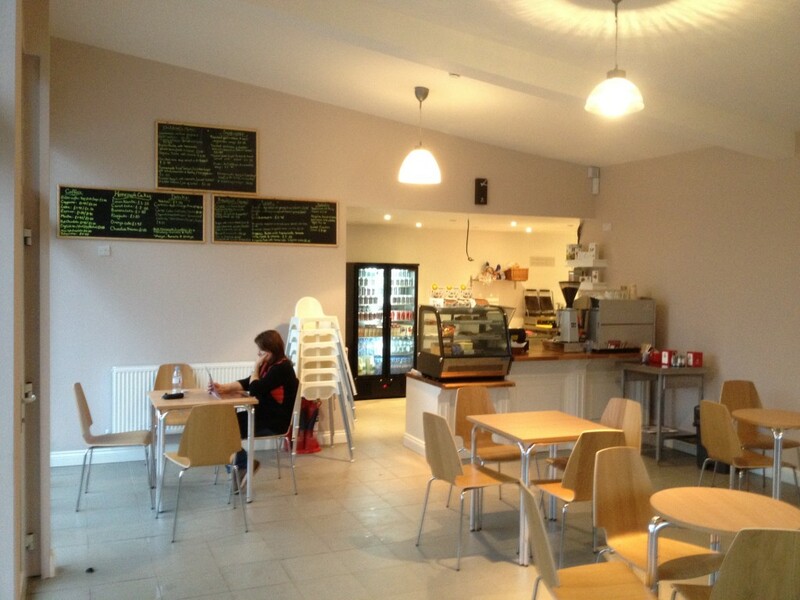 The Café itself is very light and spacious and with floor length windows making up the forefront of the café; it is very useful for parents to keep an eye on their little ones. 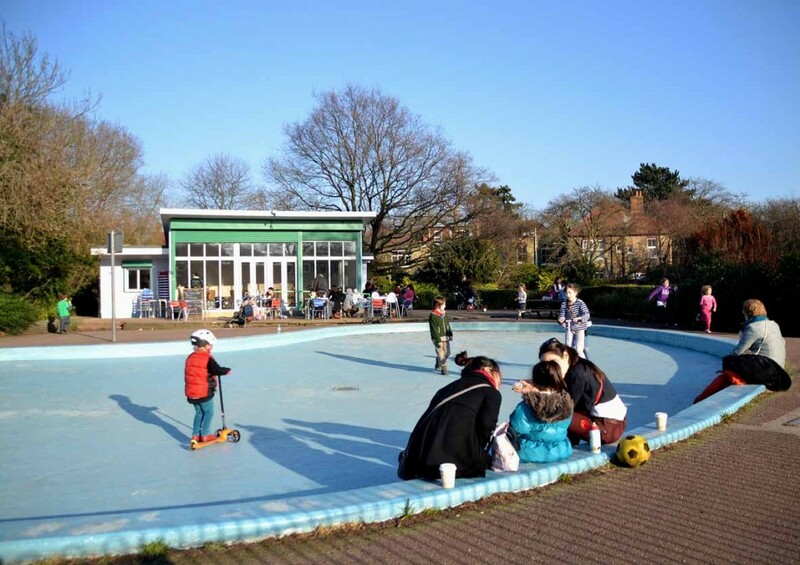 Priory Park Café also boasts a beautiful paddling pool for children, just in front of the café, which has been frequented by many children and parents every summer. If you fancy a light, delicious lunch or just some delicious coffee and homemade cakes then pop by! The café is open early from 9am- till 6pm so if you would like breakfast or just a morning coffee stop then come along. 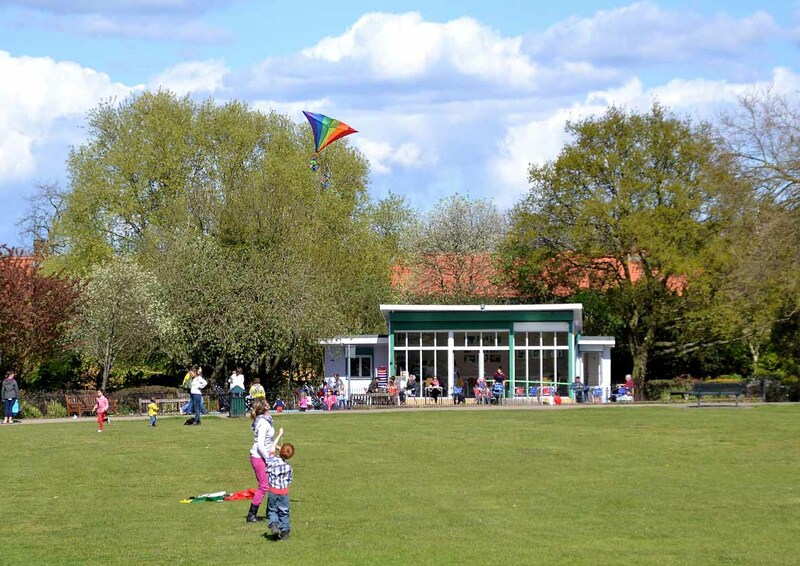 Priory Park Café hosts a variety of activities, which are perfect for parents and young children, from music sessions to art classes; see the activities page.